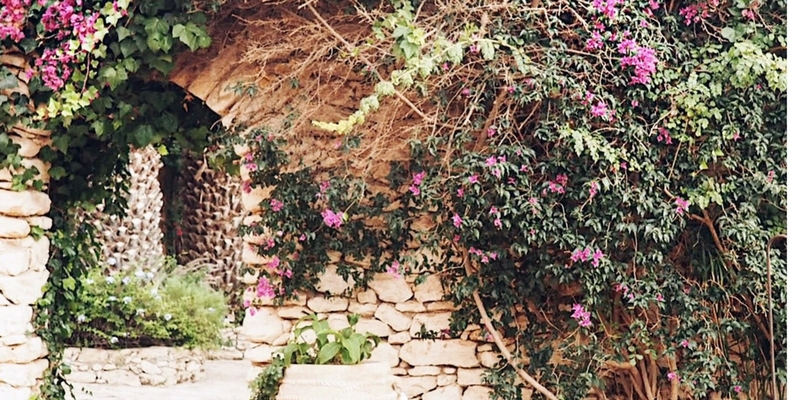 Le Jardin des Douars is the perfect place to unwind when visiting Essaouira. Located in the hills about a 5 minute drive from the city centre, Le Jardin des Douars looks like a palace. Surrounded by wonderful gardens this is truly a luxurious gem with secluded accommodation and terraces overlooking the Ksob river. 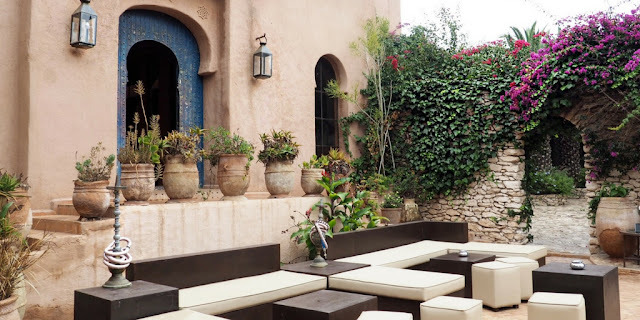 You can see straight away that it was created by a French couple as a mix of Moroccan and French culture is entwined throughout the hotel even to the food. Location: Coined the ‘Wind City of Africa’ the beach is not the place to relax but there are plenty of water sports to try your hand at. The main Medina of Essaouira contains vast amounts of alleyways and small streets filled with art galleries, shops, restaurants and boutique cafes. Nearest Airport: Essaouria, is only 15 minutes away from Le Jardin des Douars, with shuttle service available. 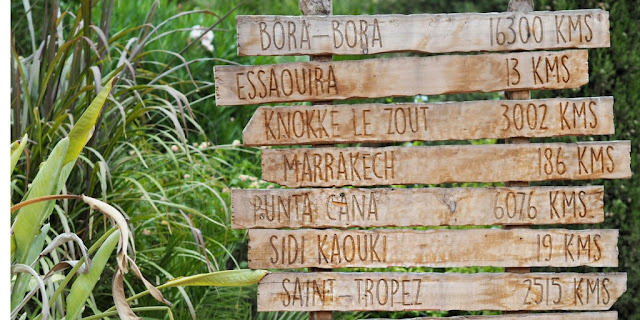 Flights from London Luton with Easyjet run twice a week on Saturdays and Tuesdays; and its only three hours to fly or a two hour drive from Marrakesh, so perfect for a long weekend. 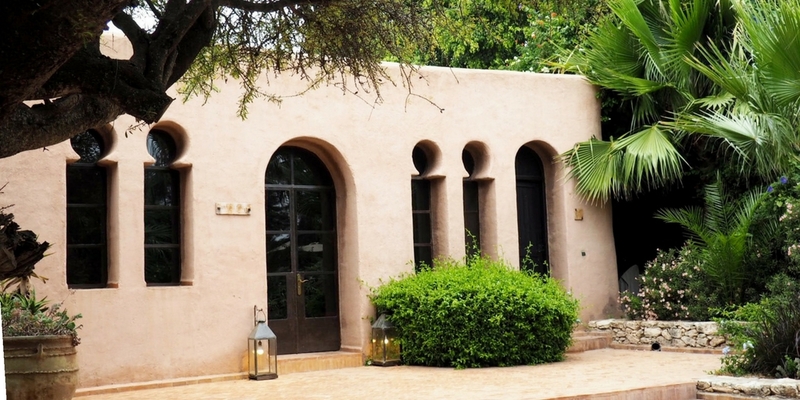 Rooms: Each of the rooms are located within traditional Moroccan houses dotted around the beautiful grounds of the hotel. You get an instant feeling of calm and tranquility when entering your room for the first time. Do not expect modern luxuries here but instead embrace the tradition Moroccan feel of your room. There are a wide range of rooms and suites available to cater to your requirements. I stayed in the Luxe Room which is perfect for couples. There are six of these rooms in total which includes a king sized bed, an amazing bath big set into the floor of the bathroom, shower and even a working traditional fireplace if you are visiting during the chillier months. You get your own private terrace, air-conditioning and a hair dryer - which is always a requirement for the boyfriend. The rate for the deluxe room including the ‘Royal breakfast’ is around £160 per night in high season. Take a dip: There are two stunning swimming pools within the grounds of this boutique hotel on opposite sides. This is very handy as one of the pools if for adults only which means guests without children can relax whilst families do not feel like they are disturbing others. The pools are heated which is great, when I went to Greece last year it was so hot outside but the pool was absolutely freezing and I couldn’t even use it! 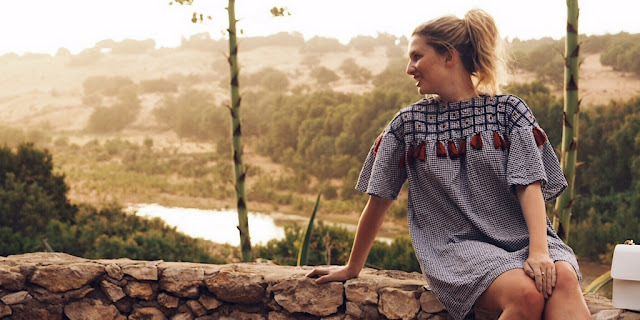 Relax: We stayed in Morocco for three nights and it was one of the most relaxing long weekends I have ever had. My time was spent relaxing by the pool reading my favourite book, going for a dip in the pool followed by amazing food and occasionally popping into Essaouira to wonder around the bustling Medina. Spa: I booked myself into the Hammam spa, I had the traditional skin exfoliation Hamman with perfumed black soap which lasted around 30 minutes and cost £30. 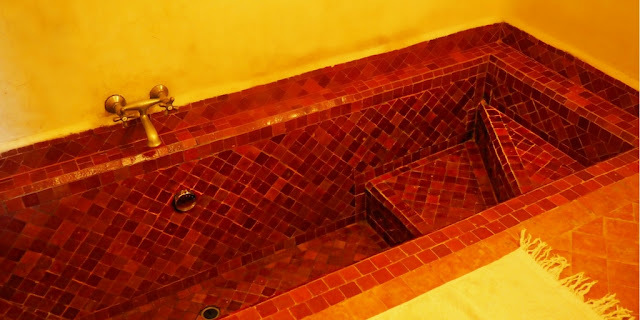 I did not know what to expect from a Hammam Spa but you basically lie on marble in a romantically lit room it is a must do if you visit Morocco. 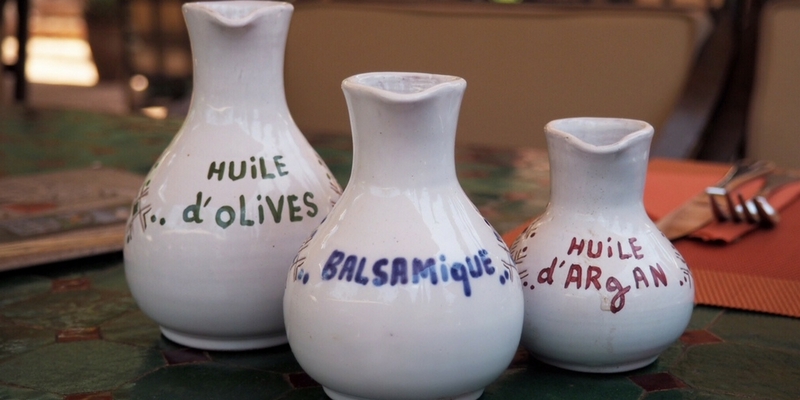 Explore Essaouira: The hotel offers shuttles to Essaouira’s historic Medina and the local harbour. It is very similar to the markets you will see on the TV in Marrakesh but on a smaller scale. Get ready to barter and try to relax when being approached by the the local tradesmen to take a look at their goods. We did not experience any problems with the locals and in fact they were amazingly polite and friendly at all times. The artwork, crafts and fabrics were amazing to look at so do not be afraid to get lost in the alleyways. We ended up at the rooftop bar Toros to watch the sunset over the medieval town and coastline. Food & Drink: The food is served at the main building in the complex and most of the time we made use of the beautiful outdoor terrace. Breakfast is included within the cost of the room and is presented in a buffet style. All food is completely fresh. You can have a wide variety of fruits and cereals along with freshly squeezed orange juice and teas. 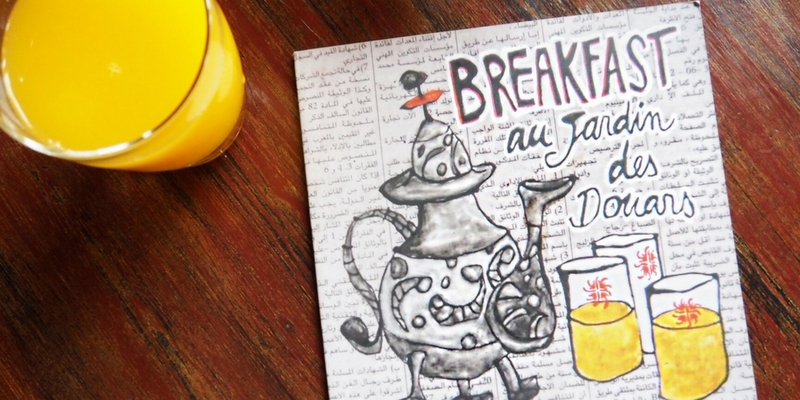 They also offer an a la carte option, where you can order Moroccan pancakes, eggs of any variety or French toast. For Lunch the hotel offers a wide selection of fresh salads, burgers, fish and Moroccan cuisine. We had the fresh Tuna Nicoise salad which was amazing and a healthy beetroot and goats cheese plate, made from local produce. In the evening, there is a new specials menu everyday which offers traditional Moroccan dishes. This is accompanied by the normal a la carte menu offering a wide range of options. We have to say the food was excellent and a major highlight for us was the succulent Lamb Tagine special. There is also an extensive drinks menu on offer. Tips:As this resort is a litter far out from life you may decide to hire a car for a little exploration. 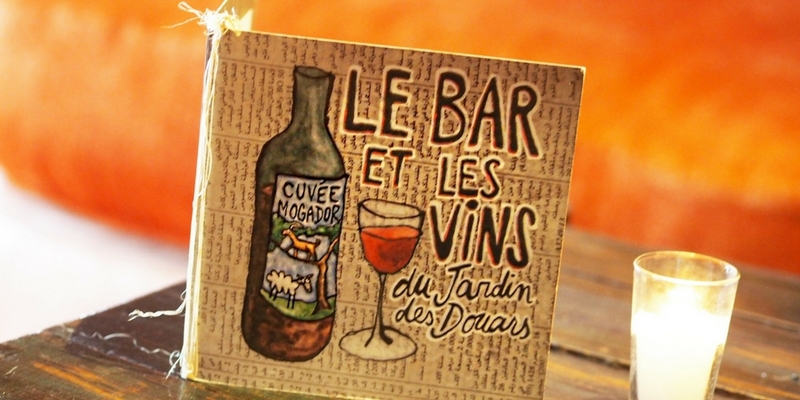 To book Le Jardin Des Douars, click here.